A Review Devoted to the Defence of Madame Blavatsky. 1/1, July 1937-1/6, January 1939. 16 pp.,4 x 6. 2/6d. This was the fascinating and learned defense of H.P. 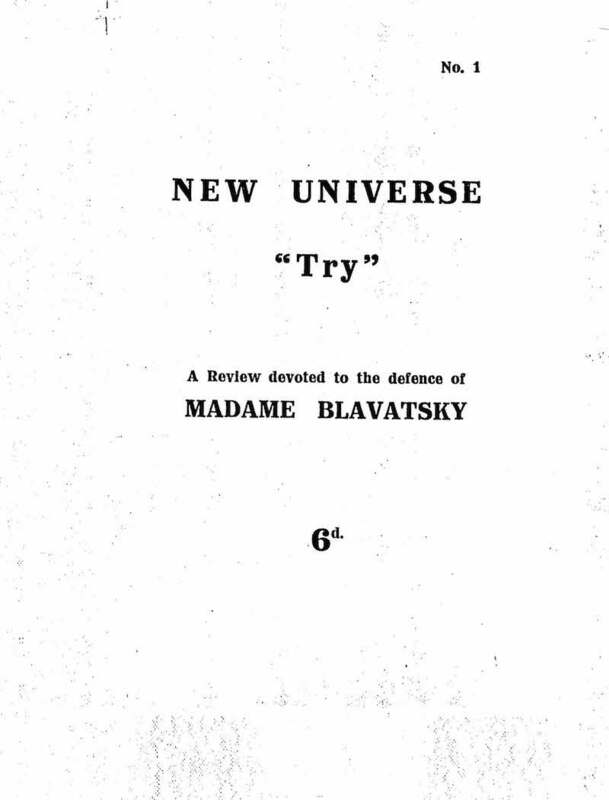 Blavatsky written and published by the unhappy Beatrice Hastings (Emily Alice Haigh, 1879-1943) who was not a Theosophist but who had become convinced that Blavatsky was the victim of ill-founded slander. She was a modern universal reformer and social activist, contributed to A.R. Orage's New Era, and was at one time the mistress of Modigliani (who did her portrait). Hastings funded the journal with reluctant contributions from members of the the Theosophical establishment who were generally indifferent to her self-imposed task. She killed herself in Canada in 1943. University of California, San Diego; H.P. Blavatsky Library, Toronto, Canada.